The new labeling module from Softproviding is already being used in live operation by its first customer. The module has been specially developed to label packaging with information that is relevant to the end customer, which may include details such as bar codes, the net weight, or batch information. In order to print the labels at the high speeds required in production, special labeling lines such as those from Bizerba or Marel are needed. The labeling lines are connected via standardized interfaces. 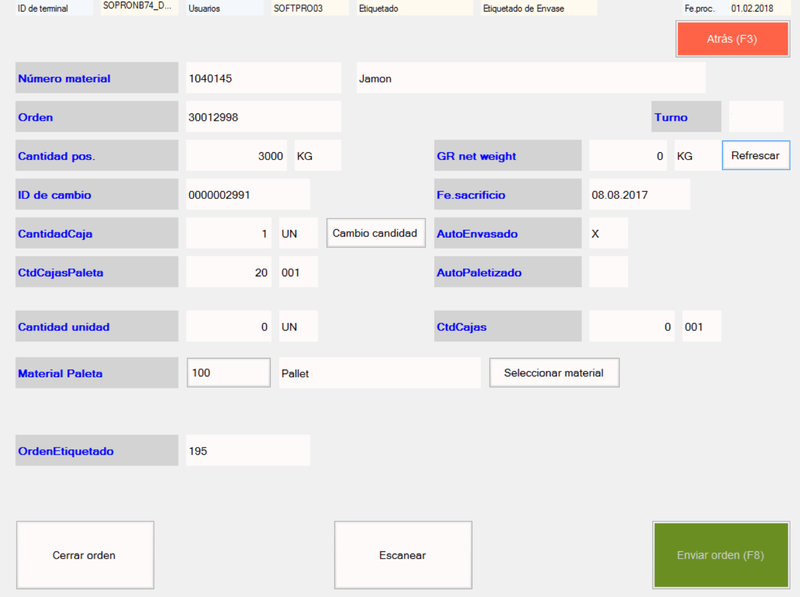 Labeling orders are sent to the labelers, which in turn report back all the relevant data to the Meat Management solution. This means that, as soon as a package has been labeled, details such as the weight and a unique identifier are reported back to the SAP system so that the corresponding process data acquisition operations and goods movements can be set up. This allows progress to be tracked both on the labeling line and in SAP. Thanks to the fine granularity of the process data acquired, product loss during the packaging process, the so-called “giveaway”, can be analyzed at any time and appropriate counter measures taken. 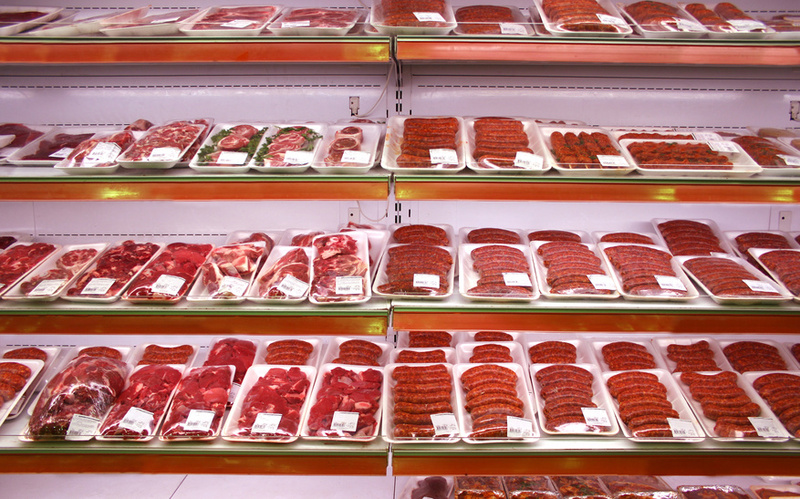 Generally, labeling is planned in advance in the Meat Management planning cockpit. However, in some cases, it may be desirable or even necessary to be able to do this on the shop floor terminal too. If you wish to add new functions or expand existing ones, this is done with Data Process System (DPS). An example of this is if you are populating an additional field in the process data records (PDAO). If you wish to adapt the interface (e.g. to add, remove, or relocate a button), this is done with Layout Painter. Further information on the adaptation options provided by SAP Meat and Fish Management by msg is available in this Video. If you wish to add functions that are not currently available in the standard version of SAP Meat and Fish Management by msg, you can of course also integrate customer-specific function modules. However, the repository included in the delivery provides a variety of useful functional modules.